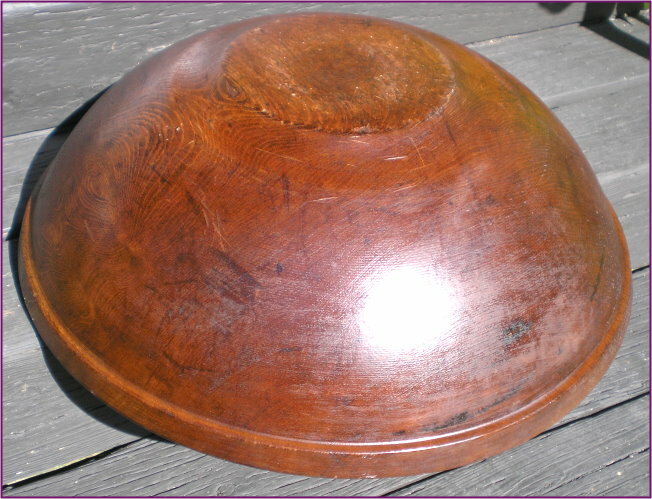 This butternut butter bowl is circa 1870 and there are a number of wonderful details about this bowl that make it stand out as a lovely example of it's era. The following details will help you understand why this bowl is somewhat outstanding: it has a nicely 'out-of-round' and uneven top edge, giving it a sinuous undulating look. 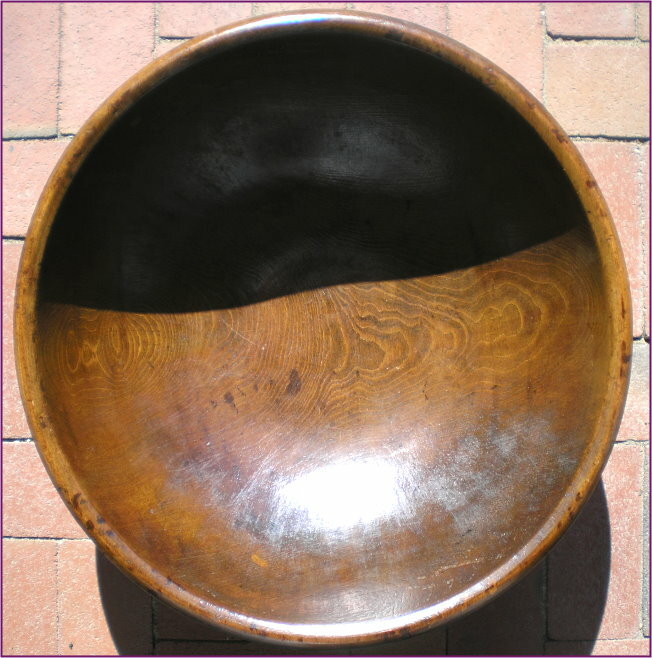 The surface is an old, but clear, dark varnished finish which continually protects the bowl from outside damage and wear. 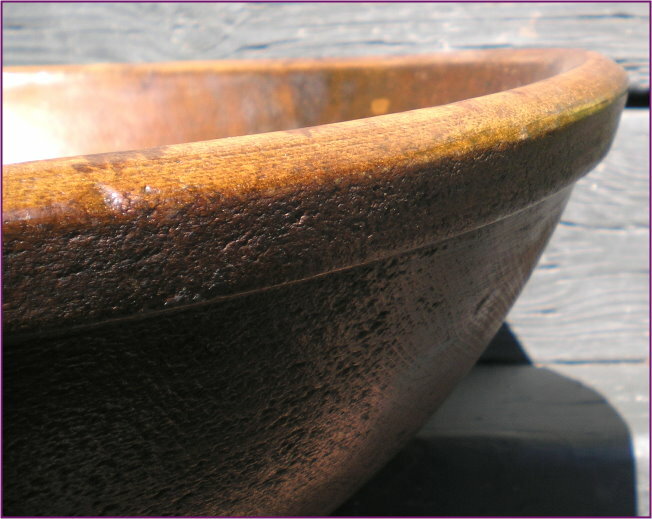 The top edge of the bowl is uncommonly chamfered both towards the outside and the inside and has a 1" outside collar, allowing it to have a softer look to it's leading edge. 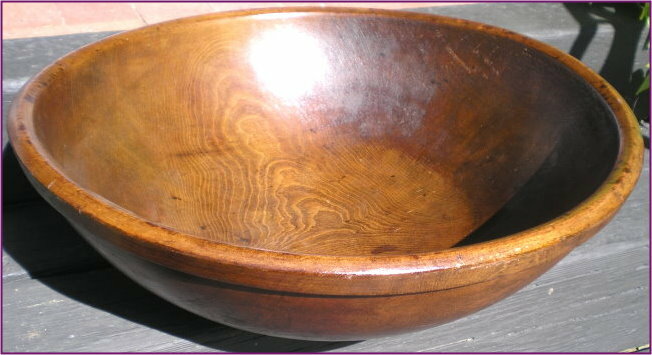 The bowl size is considered uncommon and is on the larger end of the scale. At its maximum it is 20 13/16" wide and 7' tall. Overall, specimens such as this, without cracks, splits or repairs, are not commonly found, and it's butter bowls like this that make collectors with an educated eye, stand up and take note.